It's a beautiful early Thursday morning as sit in my studio writing in my journal. A journal I started after I put myself thru The Artist's Way book, which I would highly recommend to everyone. Sometimes I journal about "surface issues" of things that are on my mind. Thru the process of writing I have revealed how those "surface issues" take much deeper things into things I need to look at. Sometimes good-sometimes not so good. I feel courageous and vulnerable at the same time as I explore. I do know for fact that I am becoming more aware. ﻿﻿﻿﻿﻿﻿﻿﻿﻿﻿﻿﻿﻿﻿﻿﻿﻿﻿﻿﻿For those of you who know me, know that I am basically a private person. I am not one who can easily confide in someone else if something is bothering me. I know it's a trust issue. I use to just hold everything on the inside and now I am able to write in my journal. I just watched Oprah's Special Edition Life Class (I have all of them taped) where she showed pieces of interviews with well known people. They all talked about how their past has shaped them. I am going to embark upon looking at my past, writing about my past, and learning from my past. I can readily acknowledge how events from my past have enforced my fears but I know there is more to my story. And fear should not be the primary outcome. If everything happens for a reason then I believe there's more to my story than fear. As I finished writing the previous sentence, I paused for a moment and my eyes were immediately drawn to this piece of art on my wall. I just love how messages can come to me when I most need it. Everything in my life has shaped me to be the person I am today. I want to take my life experiences, my past, and choose to look at it from a more conscious position. To choose to look at those times with, also, a more grateful perspective instead of the poor me view. I guess, in short, I want to know me better. When I learn and fully accept my past I will then be able to see myself and my future better. As Steve Jobs said, "You can't connect the dots looking forward; you can only connect them looking backwards. ...believing that the dots will connect down the road will give you the confidence to follow your heart, even when it leads you off the well worn path." That's what I want!!!!!! To connect my dots and move forward with enough confidence to continue to follow my heart. I do have something, as they say, "in the pot stirring" and I'll tell you more later when I've done more soul searching. You have lived through very difficult things and you not only survived you have become a kind caring person. It seems like some people decide that since they were bullied, they can bully others when they have a chance. I experience you as someone who has taken what happened to you and turned it into having more empathy for others. That is pretty darned amazing. Thank you for sharing, that is truly a gift. Being vulnerable and exposing your truth is truly being authentic and when I think of you I think you are one amazing authentic person. We could all do a little soul searching to connect those dots, we don't always want to- I applaud you. 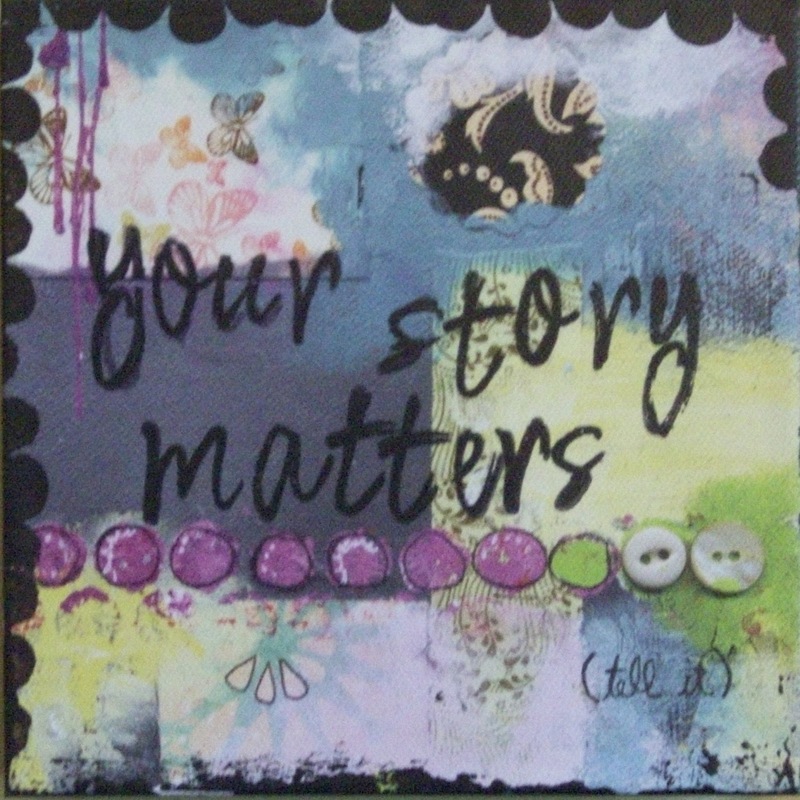 Your story matters and you matter. Take care of yourself in the process, it might get bumpy. I am listening to Brene' Brown talk about shame, fear and vulnerability and it's pretty eye opening to realize how the past shapes us. We may have to unlearn the lies of our self talk. Sounds like work! But worth the work. Maybe Mexico will give you some reflection time.